Editor's Note: Although the Supreme Court suspended the government order banning sale and purchase of cattle for slaughter in July 2017, cattle traders across India are living in fear. There is no blanket ban today but the job, it seems, has been outsourced to vigilantes, who enjoy protection due to ideological affinity with the BJP. Consequently, farmers fail to sell animals that are no longer useful to them and their scarce resources get drained in protecting crops as the population of stray cattle grows. The ban on slaughter of animals in abattoirs has resulted in job losses in leather and footwear industries. The poor are deprived of a cheap source of protein and the country is losing on revenue from exports. The cumulative result is a manufactured crisis, which is an example of an ideology running riot because it’s detached from reality. This three-part series examines how BJP’s policies have ironically resulted in animal cruelty on a large scale. This is the first part of the series. It is noon. At Chait village in Ghatigaon tehsil, about 40 kilometres from Gwalior off the highway to Mumbai, a herd of listless cattle ambles down the road between fields of ripened, reddish mustard and swaying ears of wheat. As it heads towards a pool, Betibai ensures the herd stays within the confines of the drying stream, lathi in hand. The tribal woman and her family have been employed by farmer Sahab Singh to keep an eye round-the-clock on his crops, spread over 15 acres. For four months’ labour they will be paid 20 maunds (800 kgs) of wheat worth about Rs 16,000. Singh shelled out Rs 50,000 last year and the same amount this year to fence his plot with barbed wire. "Even after spending that money I cannot sleep in peace," he laments. The mention of stray cattle readily opens up conversations in the villages that this correspondent visited in Madhya Pradesh's Gwalior and Sehore districts. Sleep deprivation, anxiety about animal incursions and loss of crops are common complaints. Across the landscape one sees wire glinting in the sun, indicating the fields have been newly fenced. Every farm had a mandli or make-shift thatched hut where hired guards kept vigil through the day and night. Farmers are forced to shell out thousands to hire round-the-clock guard to watch over the fields. Umed Singh Rawat, a BA student of Jakha village pointed to a whitewashed shed at the edge of his farm, where they keep watch at night. They have encircled their plot with four lines of barbed wire. 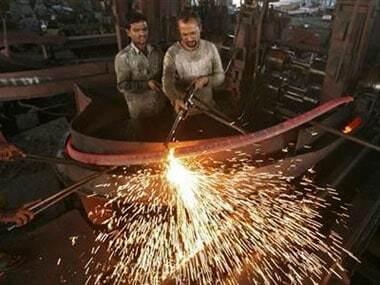 That is Rs 2.5 lakh of sunk investment – money that had better uses in other circumstances. "My biggest pareshani (worry) is that despite all the expense and effort I could still lose my crops to stray cattle," says Uday Singh Gurjar, the former sarpanch of Chait village. This is a new risk in addition to those posed by erratic weather and volatile prices. Singh patrols on bike at night to ensure that the guards are awake. But even guards on foot, however diligent, cannot be aware of cattle incursions taking place beyond their span of vision, nor can they be a match for hordes impelled by gnawing hunger. "Why me, the entire panchayat has suffered," Singh says when asked whether he has lost crop to stray cattle. Rameshwar Dayal, Birender Singh Rawat, his brother Raghunandan or Soveran Singh… the voices are different but the stories are the same. Sashi Karan says her husband cannot sit still while eating rotis in the evening. His ears are always perked for the sound of hooves. Jakha and Chait villages of Ghatigaon taluka bear the brunt of unwanted cattle that are dumped in the hilly jungles surrounding them. There are hundreds of them and they move in droves. They not only eat the crops but also trample upon them. A canal cutting the area across restrains them from moving on. The slaughter of cattle, whether male calves or cows past their utility, is banned in Madhya Pradesh. But traders would take them to West Bengal where their slaughter is allowed, or smuggle them to Bangladesh. Fauzan Alavi, a director of Allanasons, India’s biggest exporter of buffalo meat, says intense patrolling by the Border Security Force at the directions of the Home Ministry has blocked the Bangladesh route. Traders have also taken fright because of harassment, at times lethal, by gau rakshaks of the Bajrang Dal and the Vishwa Hindu Parishad (VHP). Under the previous BJP government they enjoyed virtual immunity from prosecution because of ideological affinity. But the Congress government does not seem to have made a difference. 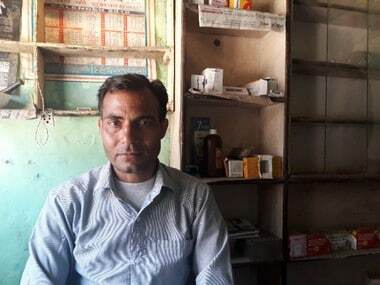 Karan Singh Mevada of Sevaniya village in Sehore tehsil and district recounts a recent incident where cow vigilantes belaboured a tribal person despite protestations that the aged cow he had purchased from a neighbour was not for slaughter. 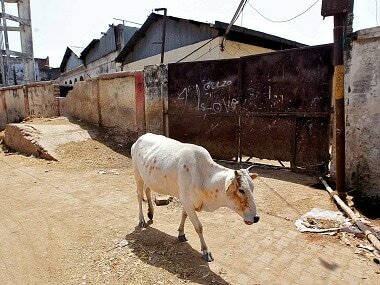 Balram Mukati of Chittoriya Lakha village in Sehore tehsil says stray cattle raided his under-construction house at night at the end of February and ate freshly-threshed wheat he had spread out to dry in the courtyard. He was yet to install gates at the entrance. "The problem of domestic (stray) animals is more serious than that of wild animals," says AR Sharma, Director (Research), at Rani Lakshmi Bai Central Agricultural University in Jhansi. 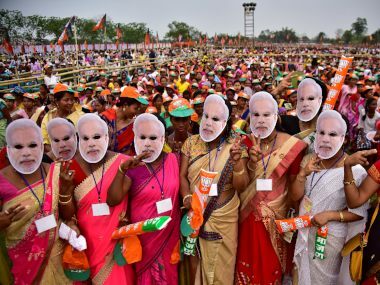 The district is in Uttar Pradesh but shares borders with Madhya Pradesh and is part of Bundelkhand region, which is spread across both the states. "It is the most talked about problem at any meeting," with farmers Sharma adds. 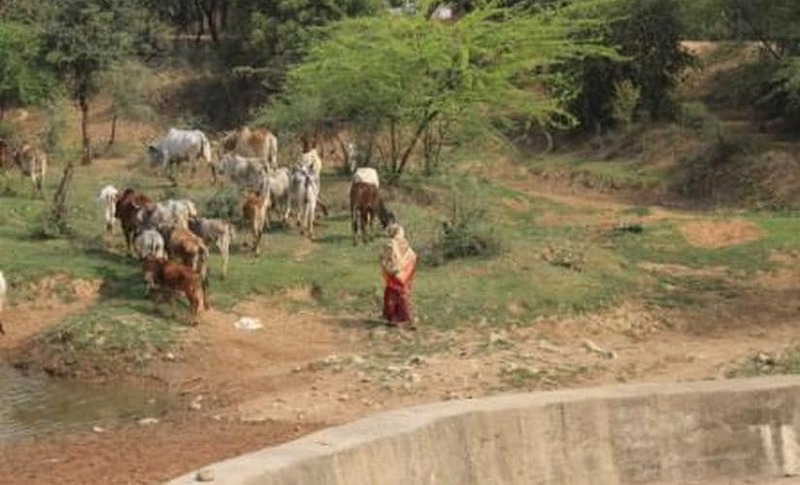 Bundelkhand has the practice of anna pratha, where cattle are allowed to graze in fallow fields for a few months after rabi harvest and before kharif sowing. But now stray cattle have become a year-round issue. "The problem of stray cattle is a grave one," admits Manoj Shrivastava, Madhya Pradesh’s Additional Chief Secretary (Animal Husbandry). The government intends to address it by setting up about a thousand gaushalas to begin with. District collectors have found locations for 917 of them. The gaushalas will be spread over six acres, with five acres of pasture, and located near highways or water bodies. Each of them will be able to accommodate about a hundred heads of cattle. Panchayat funds and those provided by the central government for the MNREGA rural jobs scheme will be used to build sheds and develop pastures. A cess is not on the cards at this juncture, says Shrivastava. The official estimate of the daily cost of maintaining a head of cattle is Rs 40. Since pastures will provide grass, the government will bear half the cost. It has recently raised the daily allowance per head of cattle five-fold to Rs 20. Of this Rs 15 will be paid in cash and the rest as feed through Sudama, the state's marketing federation for milk cooperatives. Shrivastava says the state has 617 gaushalas – all of them operated by non-governmental organisations. The previous, BJP government had established a cow sanctuary at Susner in Agar district in 2017. It can take in about 5,000 heads of cattle. Apart from the “shram” model described above, the government is also enlisting temples with ample land and funds to establish gaushalas. This is the “shraddha” model. Shrivastava notes that temples in the past used to have gaushalas attached to them, besides kunj or gardens and sarovar or water tanks. Gaushalas need not necessarily be cost centres; Shrivastava believes they have commercial potential too. Some students of the Indian Institutes of Technology have evinced interest in operating them on the "laabh model” as hybrid energy farms to produce electricity for supply to the grid, using a mix of bio-gas and CNG or liquefied petroleum gas as fuel. The only catch is that they want the government to underwrite the sale of power to third parties. According to Shrivastava there are 118 laboratory-certified products that can be made from cow dung and cow urine. Boards made of dung apparently are harder than wood and can replace it. Fifteen products, he says, have been identified for manufacture using the power of bulls (which cannot be deployed for agriculture due to mechanisation) instead of electricity. Madhya Pradesh had 4,38,000 stray cattle, according to the 2012 livestock census. A new census is underway. It is estimated that their population in the state is close to 7 lakh now. In 2012, nearly 96 percent of the state’s cattle were indigenous breeds and about 85 percent were of the non-descript or low-milk yielding kind. 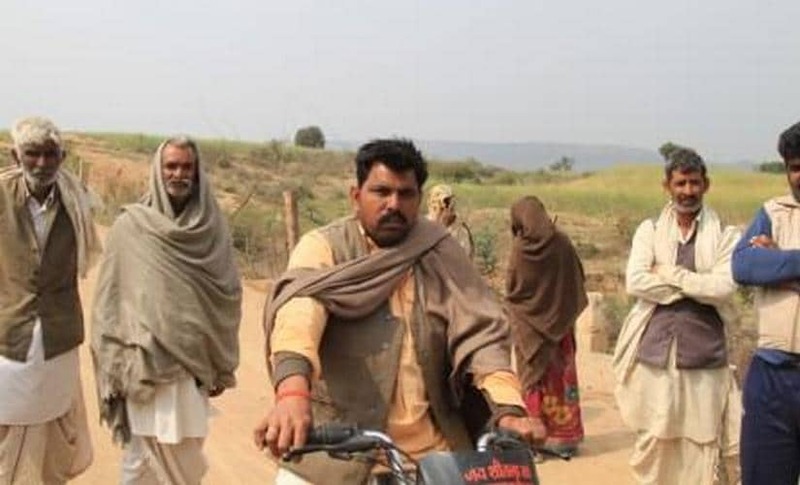 Prithvi Singh Mevada, a farmer of Batoni village in Sehore tehsil, and VHP member likens cattle to parents who cannot be abandoned in their old age. Farmers should adopt two or three of them as “seva,” he says. Such noble sentiments cannot prevail over economic compulsions. Charity can at best nibble at the problem. The commercial success of gaushala products and laabh models has not been established. So long as ideology trumps reason, stray cattle will continue to waste away and lay waste.